Oftentimes it is said that herbs don’t work. Better be careful, we’re told, or they will cause irreparable harm. Such is the mindset behind conventional wisdom*. Here is a case demonstrating that certain plants, when administered for the treatment of inflammatory bowel disease, improve the outcome of the condition without causing any adverse events. Inflammatory bowel disease (IBD) is a condition of chronic inflammation in the digestive tract. The two most common types of IBD include Crohn’s disease and ulcerative colitis, and are among the top 5 most prevalent gastrointestinal disease conditions in the United States. Currently, there is no medical cure, yet plants from all over the world are showing efficacy in the treatment of the disease. In a recent meta-analysis from the World Journal of Gastroenterology, researchers discovered that certain plants may safely induce clinical response and clinical remission in patients with IBD, without causing significant adverse events (1). 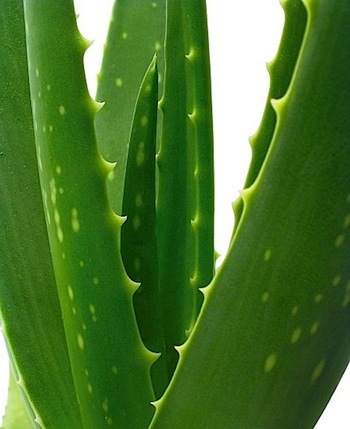 Clinical response, indicating therapeutic effect on IBD, was significantly demonstrated by Aloe vera and wheatgrass (Triticum aestivum). Clinical remission was significantly demonstrated by wormwood (Artemisia absinthium) and Indian frankincense (Boswellia serrata). The number of patients experiencing adverse events or serious adverse events was not significantly different between those receiving the herbs compared to placebo. Essentially, we have 4 plants that may safely provide relief for those experiencing inflammatory bowel disease, a condition with medical costs of $1.7 billion per year (2). Some of the plants can be foraged from the wild, and all can be purchased in supplement form, making it very easy to receive their medicine. The researchers are not stating, nor am I, that Aloe vera, wheatgrass, wormwood, and Indian frankincense definitely work one hundred percent of the time for the treatment of IBD. But when no medical cure exists, and the cost for IBD looms at $1.7 billion per year, herbal avenues ought to be explored and pursued, especially when clinically shown to provide relief. If you are suffering from inflammatory bowel disease, know that there is indeed hope. It may not come packaged with a set of instructions and a receipt from the pharmacist, but it has been my observation that good things actually do come from the ground. *Yes, I’m well aware that certain plants are not effective for certain ailments. I’m also aware that plants are very powerful, and may contain toxic compounds that confer negative effects on the human body. But generalizing an accusation by claiming that ALL herbs definitely do this, or ALL definitely cannot do that, is amusing at best.